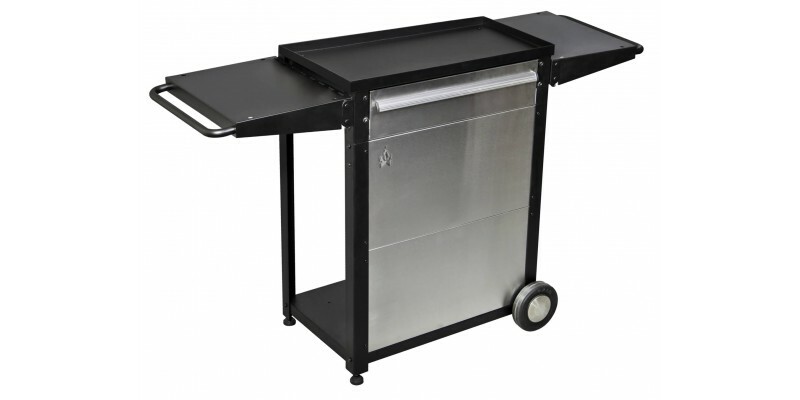 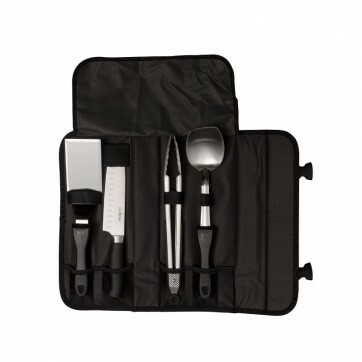 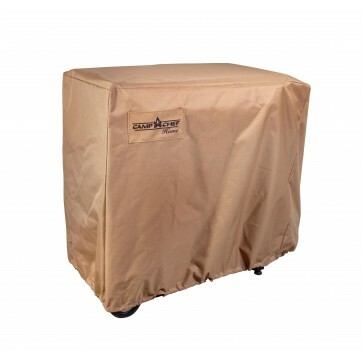 The patio cart brings you style and function, all wrapped up in one unit. 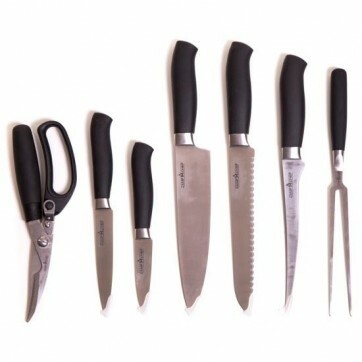 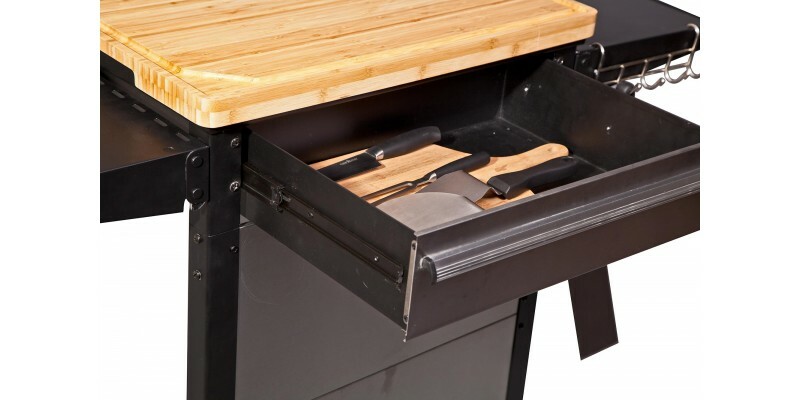 Need more cooking space in your outdoor kitchen but don’t want to settle for an unsightly folding table? 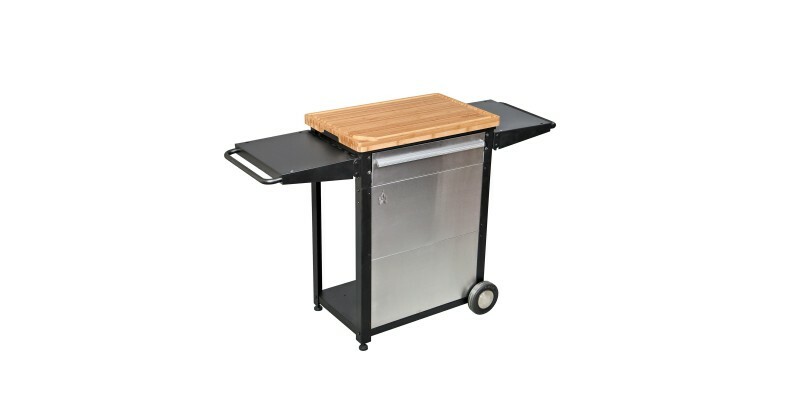 Camp Chef’s Patio Cart hits the sweet spot you’re looking for between function and design. 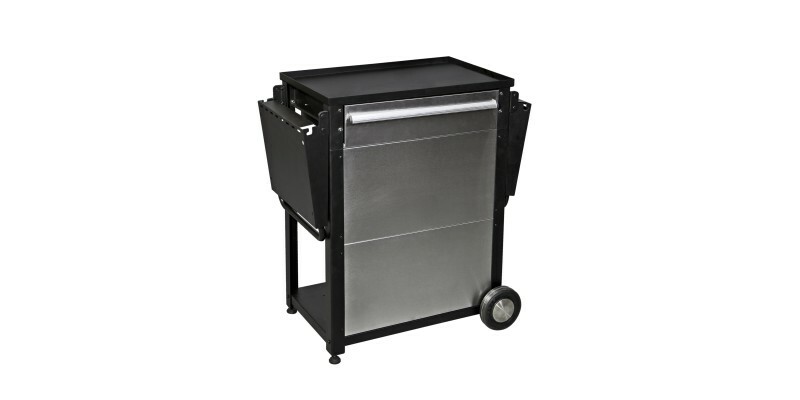 With two folding side shelves and a spacious table top, this cart gives you room for all your cooking utensils and ingredients. 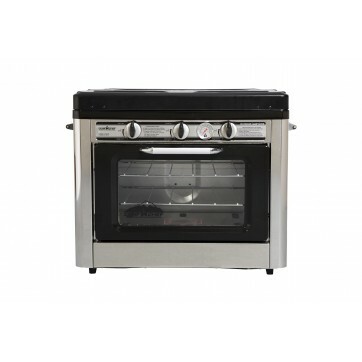 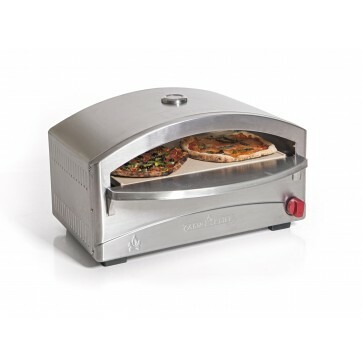 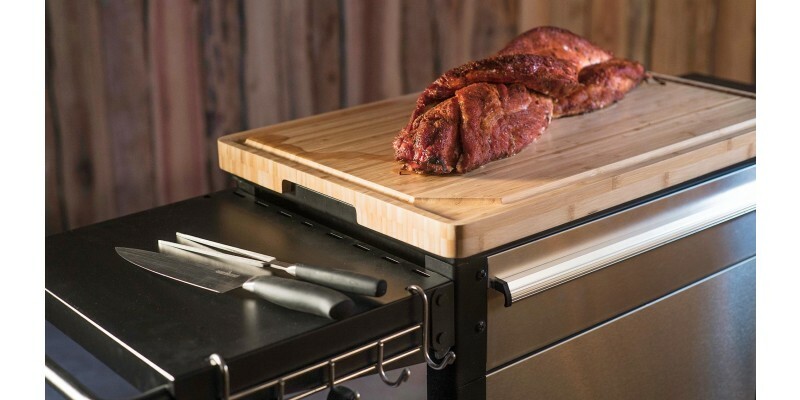 The top surface will also fit your favorite cutting board for prep work or the Camp Chef Italia Artisan Pizza Oven for easy baking. 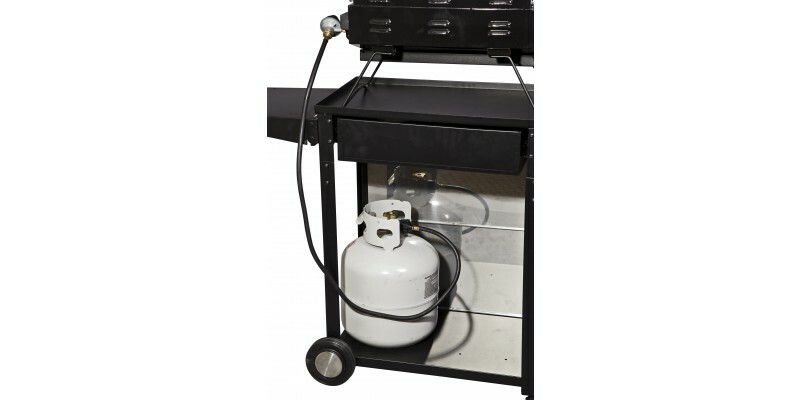 The propane tank storage space, roll-out drawer, and two wheeled legs are the definition of convenient. 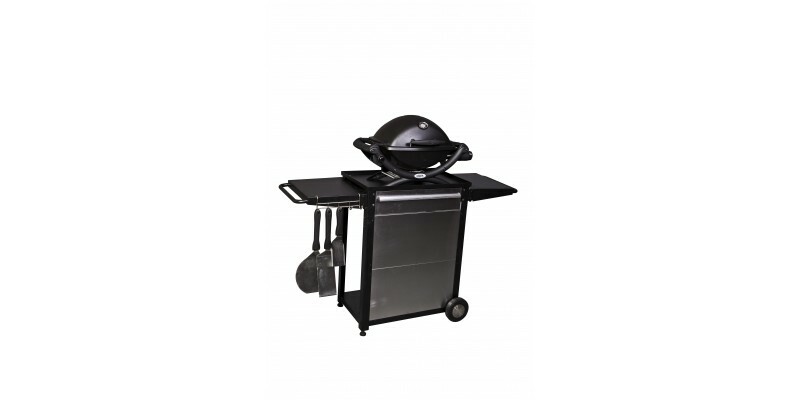 And while you will certainly enjoy the functionality of the cart, a stainless steel face and black painted legs provide a stylish look to match any patio décor. 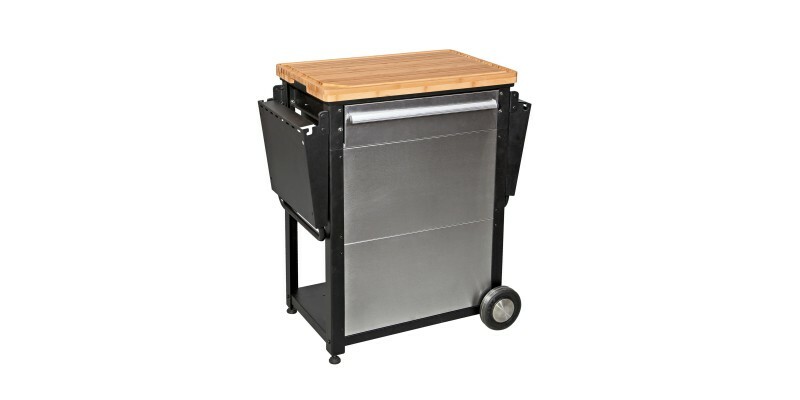 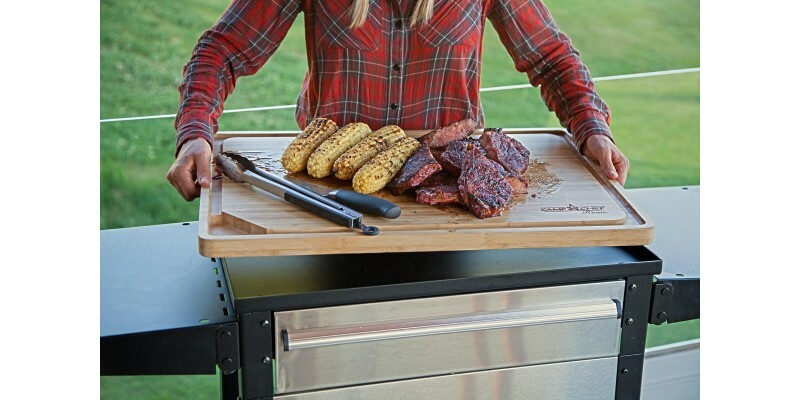 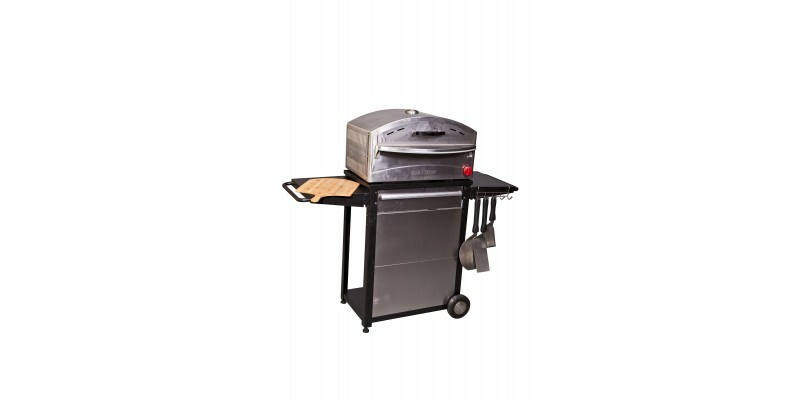 Take your outdoor kitchen to the next level with Camp Chef’s Patio Cart. 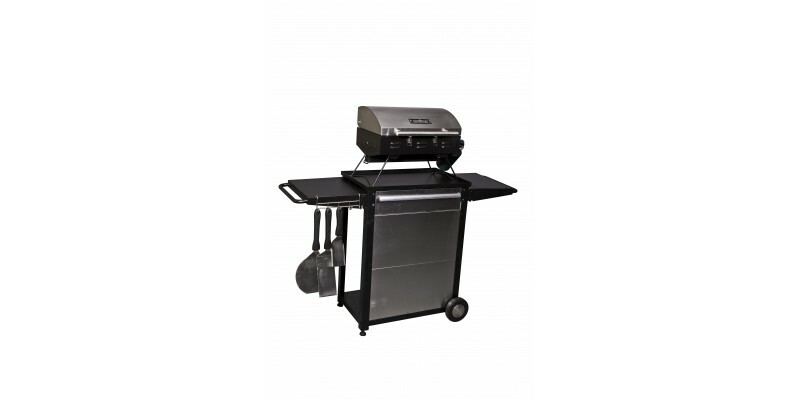 Top Surface: 16" x 25.5"
Side Shelf Surface: 16" x 12.5"